A pork tenderloin roast is the perfect cut of meat for occasions when you want to make something tasty and a little unusual, but don't want to spend a lot of time in the kitchen. In fact, the tenderloin's long, slender shape and low fat content make quick cooking essential. Roasting is a good method to cook this piece of meat. 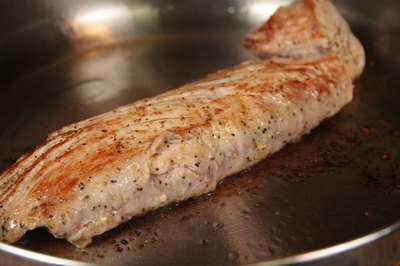 A pork tenderloin is cut from the center loin portion of the pig, and it’s one of the most tender and leanest pork cuts. 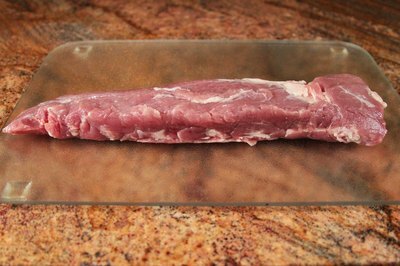 An average-size pork tenderloin will weigh just about a pound and will serve three to four people. Since it’s so low in fat, this cut of meat cooks very quickly--indeed, almost too quickly. 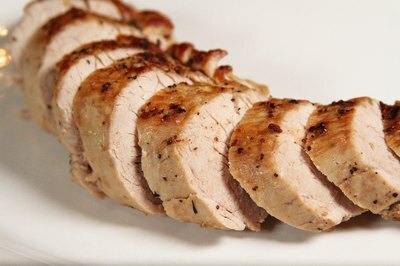 A perfectly roasted pork tenderloin is a delight to eat, and an overcooked one is dry and tough. Cooking it well is not difficult, but it does call for vigilance. 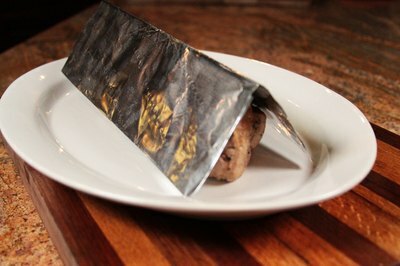 To roast a pork tenderloin successfully, first preheat the oven to 350 degrees. Dry the tenderloin with paper towels, rub it with salt and ground black pepper, and any other seasonings you like, and then sear it quickly in hot fat in an oven-proof skillet. Set the skillet in the oven and set your kitchen timer for 15 minutes. When the timer goes off, check the internal temperature of the meat by sticking a quick-reading or meat thermometer into it at an angle. The roast is ready if the thermometer reads 140 degrees. If it’s not that warm yet, put it back into the oven for a few minutes. The overall roasting time will be in the range of 20 minutes, but a lot depends on how cold the meat was to begin with and how accurate the thermostat is in your oven. When the temperature has reached 140 degrees, take the skillet out of the oven. Take the meat out of the skillet and put it on a warm platter, cover it with a foil tent, and set it aside for about 10 minutes to rest. During this time, the juices that have come to the surface will return to the interior and the internal temperature will rise by another 10 degrees or so. If you cut the tenderloin without letting it rest, all the juices will end up on the plate instead of in the meat. Cooking pork roasts vary in size and meat content. 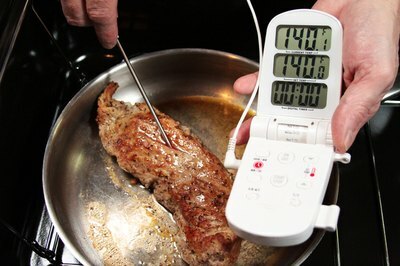 Use a meat thermometer as your primary determinant of doneness.